Huzzah! No more international shipping fees and long wait times. The FULL VOICE resources are now available in the United Kingdom and Europe on AMAZON. 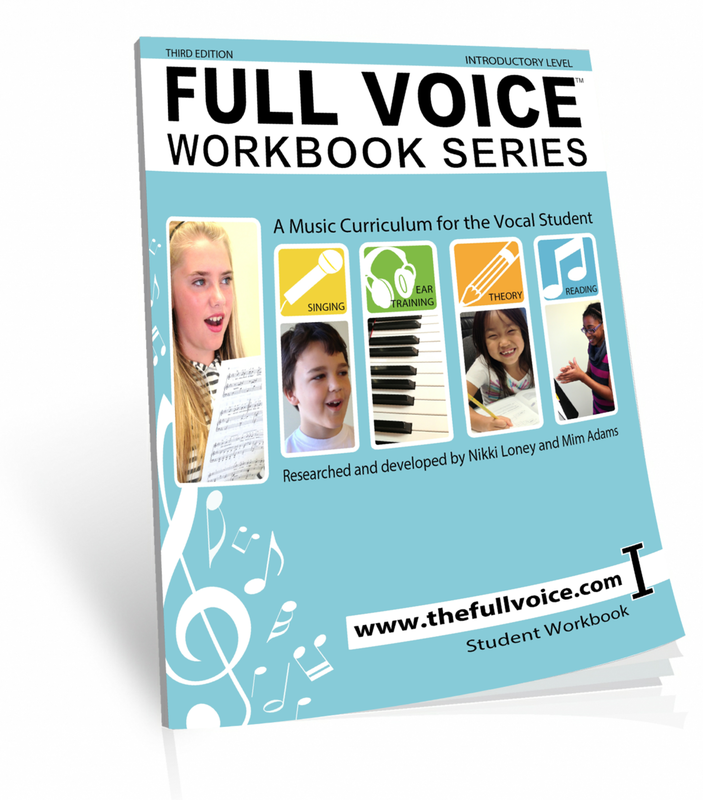 The new FULL VOICE Teacher Guide is 102 pages of voice teaching ideas, strategies and inspiration. Includes warm-ups, games, repertoire and curriculum ideas. 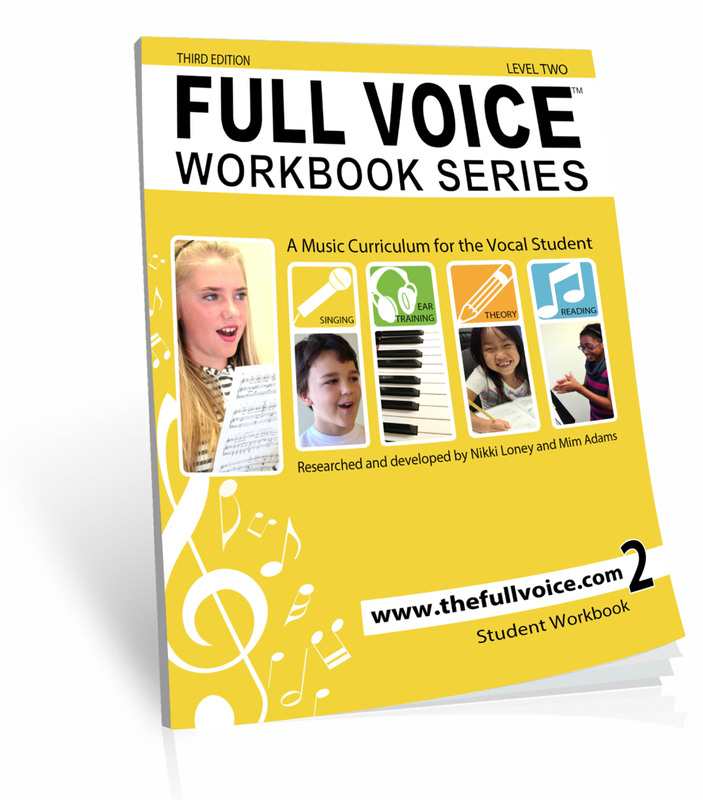 A fantastic resource for the busy voice teacher working with young singers. Also available as a kindle download. Wait just a minim! NOW AVAILABLE UK Edition workbooks now use the UK terminology (crotchet, quaver, minim, etc) Available at a lower price too! FULL VOICE Teacher resources - kid and teacher tested for more smiles and happy singing in every lesson. Includes a personal studio or classroom license so you can copy these pages for your students! Inspired Vocal Music Resources for Young Singers. Your purchase is secure and guaranteed. Sign up for Great Teacher Resources!